The European Commission has failed to obtain consent from the Saharawi representatives before deciding to include Western Sahara in trade deal with Morocco. In a statement today, 89 organisations in and from Western Sahara condemn the EU Commission for its sham consultations. There will be no civil society groups in or from Western Sahara with whom the European Commission can engage in a mockery of a 'stakeholder process'. In a statement on 3 February 2018, practically all Saharawi groups condemned the EU for having proceeded with initialing a trade agreement with Morocco without first having obtained neither the permission from their representative body, the Polisario, nor engaged in a genuine dialogue with the concerned civil society. Western Sahara Resource Watch does not know of organisations in Western Sahara which have not joined the statement. 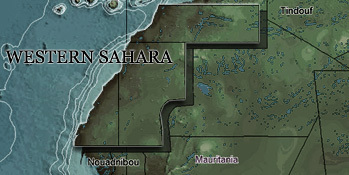 The Court of Justice of the EU on 21 December 2016 ruled that Western Sahara is separate from Morocco, and that no trade deal between the EU and Morocco can include the territory. 1 February 2018, WSRW wrote that the EU Commission has initialed an agreement with Morocco covering Western Sahara. However, no efforts of obtaining the prior consent had been done. The only party to the preceding negotiations had been the Government of Morocco. Instead of engaging in a process of obtaining prior consent - as the court required - the Commission has convinced the member states that it is sufficient to consult. And now, it appears that the entire process of "consulting" (which under no way is mentioned as a prerequisite by the court, and is in total disregard of the internationally-defined concept of self-determination) on the application of the agreement was postponed until after the agreement is agreed between the parties. The content of the consultation process was alerted to be regarding how the locals would benefit, which the Court had specifically stated is irrelevant in view of concluding on the agreement's legality (paragraf 106 of the judgment). The EU Commission will now have no groups in Western Sahara to consult at all. They refuse to take part in a sham consultation process which the Court of Justice had never asked. Any "civil society groups" that the Commission in the future will henceforth claim to have consulted would be fake NGOs, set up by the Moroccan regime. The statement also underlined the frustration of the Saharawis that the EU is replacing the EU judgment's references to the rights of the 'people' of the territory, with the one of the 'population'. The latter term is used by Morocco to legitimise its strategy of settling Moroccan nationals in occupied Western Sahara, in blatant violation of the Geneva Conventions. "We also observe with frustration that the Commission replaces the deliberate terminology of ‘Saharawi people’, with ‘population’. These concepts are fundamentally different. Consulting Moroccan organizations, parliamentarians and businesses about Western Sahara can never replace the consent of the Saharawi people", the 89 organisations underline. The letter also illustrates the lack of understanding that the Commission has of civil society in the occupied territory. Groups are systematically harassed, threatened and their partners are refused entry to the territory. Most groups operated in one way or the other in a clandestine manner. See for instance this recent report from FIDH/OMCT. As representatives of Saharawi civil society, we express serious misgivings over ongoing efforts by the European Commission to circumvent the 21 December 2016 ruling of the European Court of Justice (ECJ), which undermine the legal rights of the Saharawi people, and continue the illegal exploitation of the resources of Western Sahara. As underlined by the Advocate-General of the ECJ on 10 January 2018, the territory of Western Sahara remains under the partial occupation of Morocco. The ECJ, in December 2016, definitively ruled that Morocco has no sovereignty over Western Sahara – reaffirming the position of the International Court of Justice, the United Nations and the African Union, that Western Sahara is a Non-Self-Governing Territory with continuing and exclusive ownership of the natural resources of the Territory. In parallel, the ECJ ruling reaffirmed that any agreement pertaining to Western Sahara’s natural resources requires the consent of the representatives of the Saharawi people, General Assembly Resolution 34/37 establishes those representatives as Frente POLISARIO. We therefore express our deep concern at the ongoing negotiations between Morocco and the European Commission to include Western Sahara in trade agreements with Morocco without the consent of the Saharawi people through its legitimate representative, the Frente POLISARIO. To this date, no serious scrutiny of this process has been allowed, the mandate for these negotiations has not been published, and the Commission has not made any genuine attempts to engage with POLISARIO as the legitimate representative of the Saharawi people. We understand that the EU Commission now seeks to undertake a consultation process after concluding a negotiated deal with Morocco, however neither the terms of participation nor the list of groups to be consulted have not been published. Thus far this process is not being conducted in a transparent or credible manner; nor has there been any public announcement of this process. Many groups have received a request from the EU Commission to attend a consultation meeting the capital city of Morocco. It is deeply concerning that the EU would host a consultation with Saharawis in the land of its illegal occupier; with no guarantee that Morocco will not and cannot exert undue influence on participating parties; including through intimidation, and threat of violence or retaliation. We have yet to see any consultation which takes into account Saharawis living in the non-occupied parts of the territory or the refugee camps. We also observe with frustration that the Commission replaces the deliberate terminology of ‘Saharawi people’, with ‘population’. These concepts are fundamentally different. Consulting Moroccan organizations, parliamentarians and businesses about Western Sahara can never replace the consent of the Saharawi people. To be clear, our engagement in any such consultation is contingent upon it being conducted in a legitimate, open, and credible manner, including guarantees of the safety of participants to speak freely, in addition to a clear indication that the EU is prepared to act in good-faith with a view to finding a legal, just solution to the illegal occupation of Western Sahara. Under the current conditions, we will not participate in a consultation process hosted by EU Commission which relies on Morocco, and parties sympathetic to Morocco, whose illegal occupation of Western Sahara the EU itself does not recognise, to demonstrate the consent of the Saharawi people whose land it occupies. This is a deeply destructive and unsustainable approach which directly contravenes EU and international law, strengthens and funds Morocco’s illegal occupation, and threatens to undermine the UN Political Process and the efforts of the United Nations special envoy to Western Sahara. The Saharawi people, do not benefit, economically or otherwise, from the illegal exploitation of their natural resources and trade with the European Union; nor has the Saharawi people’s consent been credibly sought. Any economic gains and development as a result of the exploitation of our natural resources and their illegal trade with the EU, are selectively distributed with the sole intent of further entrenching Morocco’s illegal occupation and systematically discriminating further against the Saharawi people it occupies. We reiterate our steadfast determination to seek reparations for this illegal exploitation of our natural resources, over which we have continuing sovereignty, from all who have benefited and continue to be benefit from this exploitation. 1. Engage constructively with the Frente POLISARIO at the appropriate level of standing as the legitimate representative of the Saharawi people, and party to the UN peace talks.